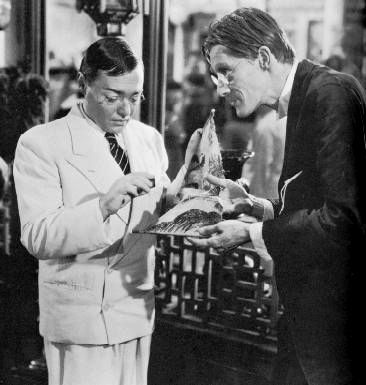 I was watching a very B movie the other day, starring Lon Chaney Jr. and John Carradine, two of my favorite horror actors from the old days. The film exploits the haggard, craggy looks that both had assumed in later years. Carradine, especially, had very baggy lower eyelids, used to good effect with the shadows of the noir lighting in this film, Blood of the Man Devil. Just the title alone tells the quality of the film. Wow, they came up with some outlandish titles! B movies these days should try the same, rather than going with the tired monosyllabic titles that seem to be in vogue. (Saw, etc.--I put etc. there because I can't think of any others, the chief problem of monosyllabic titles; Single words are difficult to remember compared to a string of words, which give more fibers for the mind to work with, to make associations. The idea that a monosyllable is easy to remember is the same type of ruin that many good intentions have. Another of my favorites of these, is the thick pencils for children, who have smaller hands than adults. Well, I had a feeling that John Carradine was long gone (even his son, the Kung Fu Grasshopper died a few years ago, and he was not tragically young himself—though the circumstances were strange, recalling the death of cartoonist Vaughn Bode, originator of the bubble style of graffiti that has become standard throughout the world.) The elder Carradine died in 88, after scaling the steps of Milan's Duomo, the climb leading to his collapse. His last words were something to the effect of Milan being a beautiful place to die in. Not the worst way to go—and it sort of makes sense for this actor. Milan is not a conventionally beautiful place; it has a closed-in, melancholic character, full of sooty friezes, weeping grime. 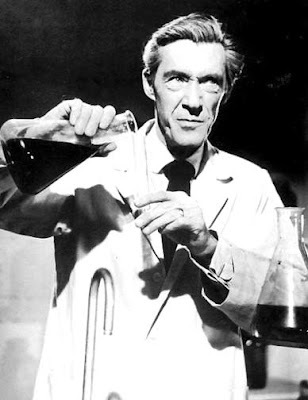 Carradine was the greatest mad scientist. He was gaunt but vaguely landed, in the old American way. One senses a kind of high minded brahmin or Puritan who has fallen. 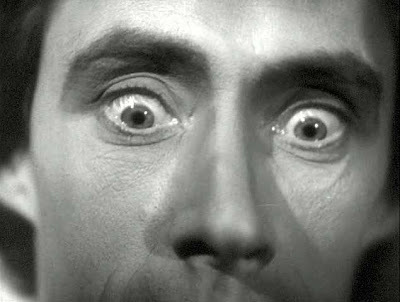 Other horror actors, if they had a landed feel, were more European, often with overt, exotic accents (Karloff, Lugosi, Lorre, etc.) Vincent Price was just far too versatile, treading every niche of horror with mastery, whether mad scientist, debauched scion, or urbane businessman. His accent was vague, perhaps from the land of of dark castles not exactly in America. 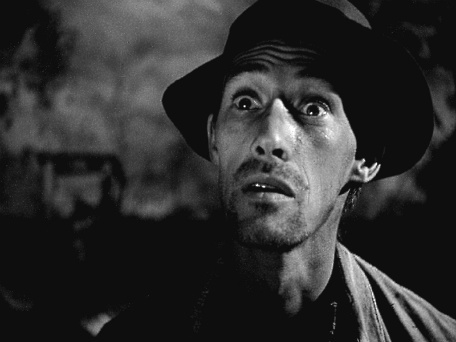 Carradine's voice was deeper and and stranger, as were his attenuated expressions. I get the feel of a silent film actor, who happened to be blessed with a stage actor's voice, gifted at projecting and orating. His voice reverberated from cavities or sinuses that I imagine to be of anomalous anatomy, like the over-sized mouth of Joe E. Brown, or the schnozz of Jimmy Durante.